Here are just a few that I've discovered in my quest to become a gin connoisseur. 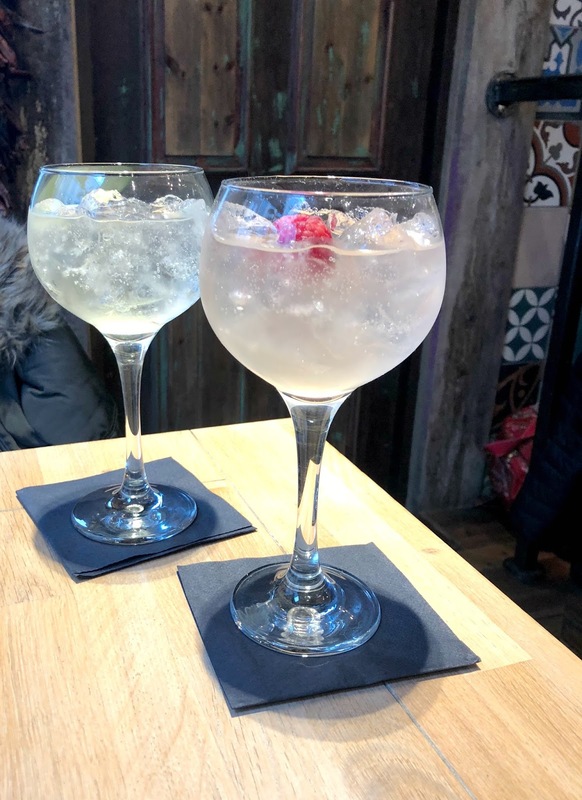 One of the best gin and tonic menus you'll find in Newcastle, Pleased to Meet You is where a lot of people's gin obsessions started in the city. I believe it was the first gin bar in Newcastle to open and was soon followed by a flurry of others making Newcastle a real gin bar destination. Pleased to Meet You serve over 100 gins and it pays to leave yourself plenty of time to properly read the gin menu because it runs several pages and you'll find yourself changing your mind several times. Offering so many combinations of gins, tonics and garnishes, it's an amazing pick and mix G&T menu that has me going back again and again. When I asked my followers on Instagram for their gin bar recommendations I had so many messages telling me that we had to try Dacantus and having now visited I can see why so many say it's the best gin bar in Newcastle. 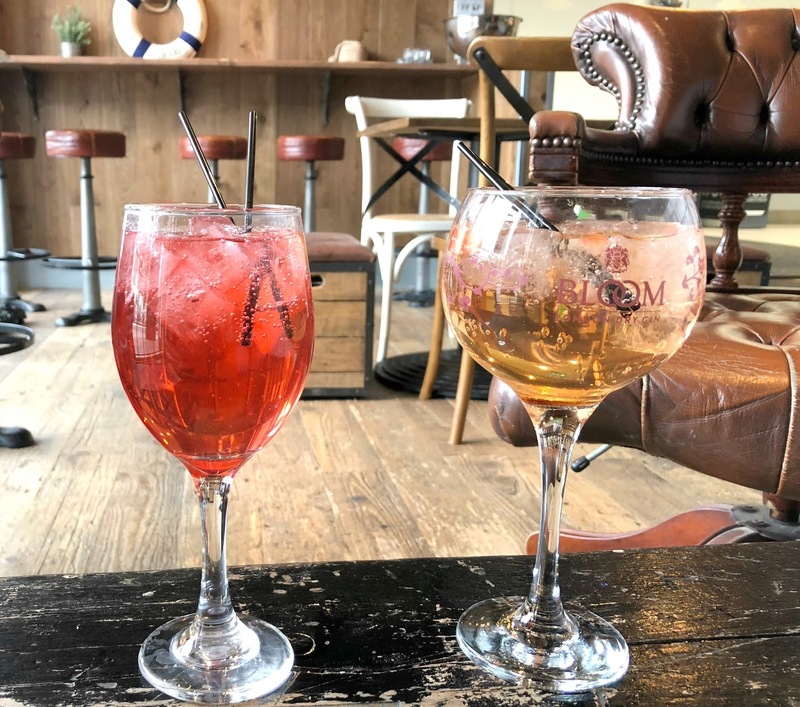 Gin served in fish bowl glasses with extra large ice-cubes and complimentary tapas to go with your drink - Dacantus is definitely my kind of bar! They stock a range of gins from around the world and the menu is huge, it's going to take us forever to get through but that's OK because the obsession is real and I don't think it'll be long before we're there again. You can't really go wrong with a gin bar called The Gin Bar can you? 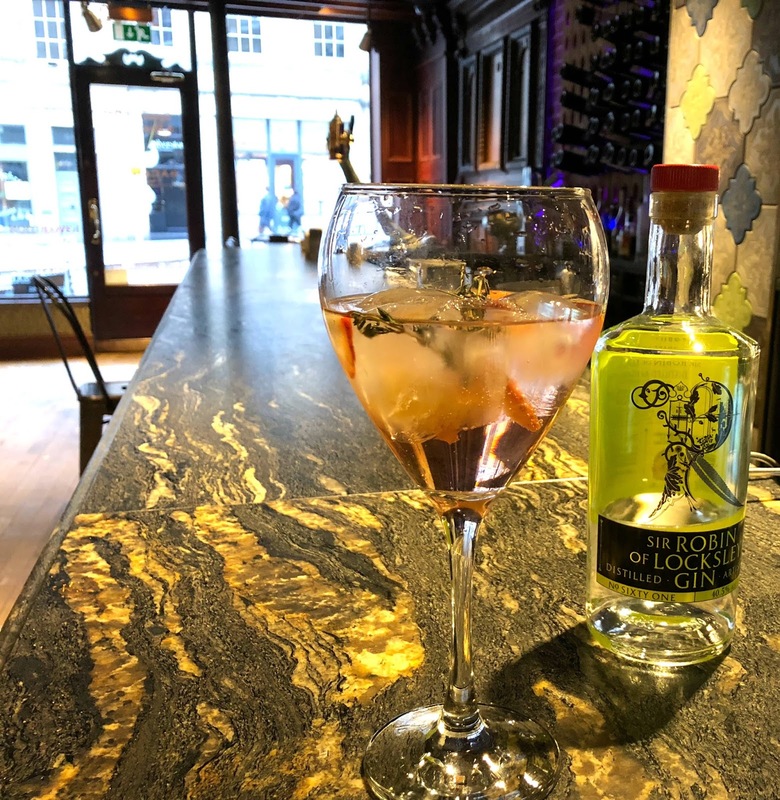 Attached to the Crowne Plaza hotel just behind Central Station, The Gin Bar is my favourite place to head for gin based cocktails when I fancy something a little fruity. 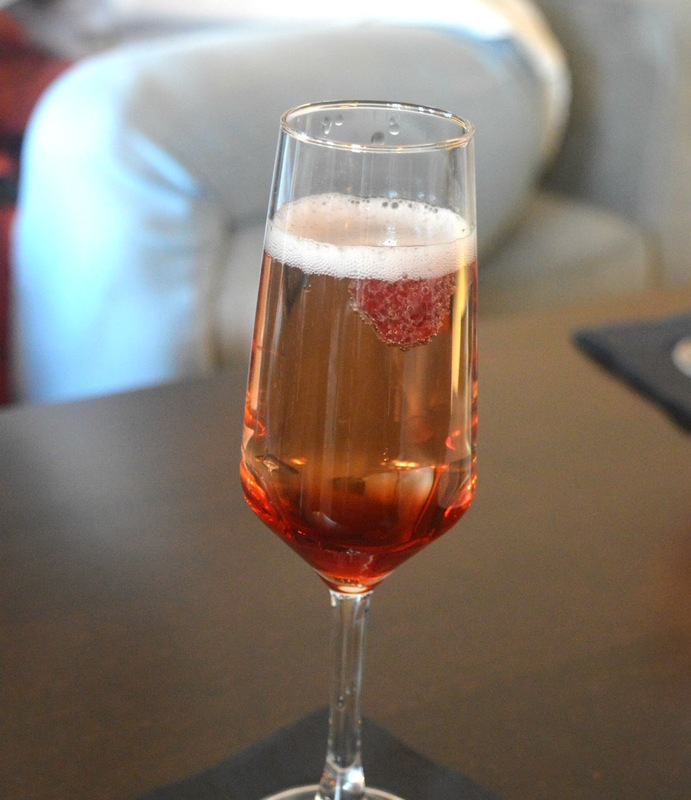 Their one off signature cocktails combine local gin and fruity prosecco for the most delicious drinks to enjoy in the Summer months and I particularly love The Sloe Gin Royal (Plymouth Sloe Gin with Fruity Prosecco) and Tyneside Fizz (Durham Gin, Fresh Mint and Elderflower with Fruity Prosecco). Bealim House is the home to Newcastle Gin and you'll find their beautiful copper gin still sitting pride of place in the bar. 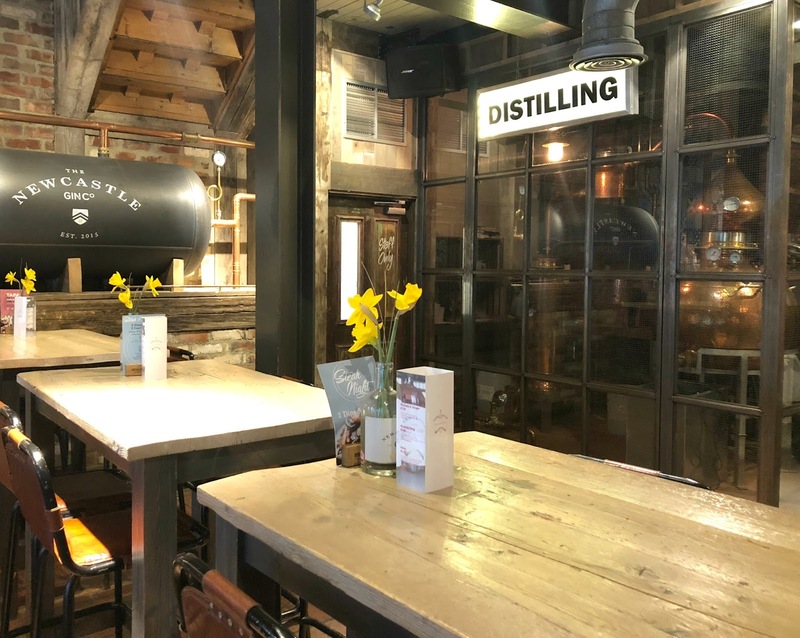 With its beautiful industrial decor and delicious gin selection it's one of the best gin bars in Newcastle. The Bealim House gin list features 17 varieties of gin which all come with a garnish recommendation and plenty of tonics to choose from, but it's usually the gin cocktails that catch my eye. With plenty of seasonal options my current favourites from their Spring Menu are "Apple and Cinnamon" and "Rhubarb and Ginger". When you think of George's Great British Kitchen you probably think huge dishes of food rather than gin, but they actually have a cosy little gin bar to the side of the restaurant. 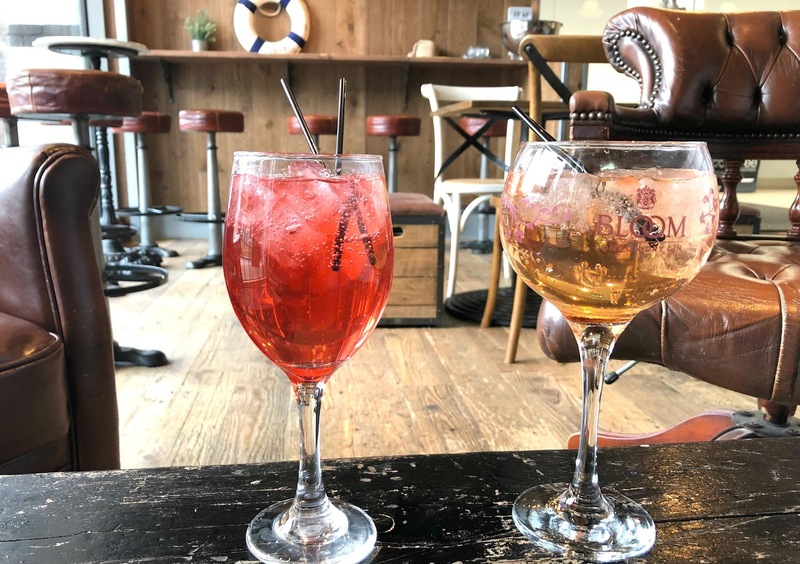 Their G&T menu is given an extra little kick with their homemade fresh fruit and sugar syrups and if you love your gin extra fruity you'll love their Sweet Gin and Fragrant Gin menus and their Tea Party gins to share are a great way to kick start your weekend. 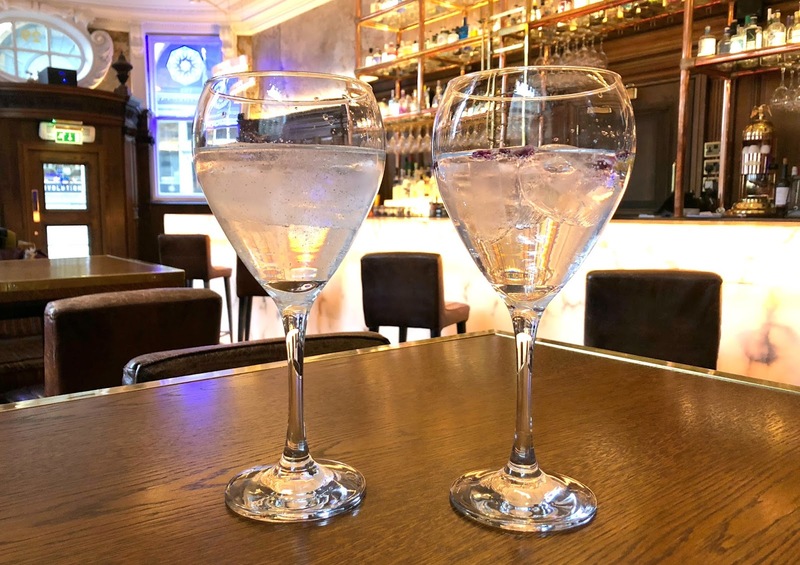 The Continental describes itself as a palace of gin, and I have to say when we stepped through the doors it was a little like jumping into a fairytale. The shelves behind the bar are stacked to the ceiling with gin bottles only accessible by a beautiful golden ladder! The menu is mammoth (they have over 500 gins!) so no surprises that The Continental is actually home to the largest amount of gins in Newcastle. The A-Z list at the back is pretty impressive stuff and if you have a favourite you are bound to find it here. As an added incentive they also have an entire page of the menu dedicated to 2 gins for £10.00 - surely the best bargain you'll find on the Diamond Strip! I'd love to know your favourite places to drink Gin and if you have any recommendations for what gin I should try next I'd love to hear from you. I hadn't either until I started researching for my bar crawl! I was chatting to the barman in Dacantus and The Continental is actually owned by the same people! Yes! You really really must come up, we're only a few hours from London! I caught on a little late to gin too, so I have some making up to do! Looks like it's not too hard to find a decent drink in Newcastle though! We have SO many gin bars, that's not even all of them!